Are you looking for the best Mobile Legends Guide but only found some useless junks online? Fret not! I’m here to show you the complete strategy and guide to help you understand better and play better in this game. Mobile Legends Bang Bang (MLBB) is one of the latest hits in the world of mobile MOBA. Initial released on 14th July 2016, has now more than 50 millions installs on android alone. This Mobile Legends Bang Bang Guide is gonna be massive. We’re going to take a look at each section of the game including interface, events, daily task, gameplay, etc. You use the movement wheel to move your hero and the skill wheels to cast your skills. You should be familiar with it after the first 3 tutorials of the game. Once you’re done with the tutorials, you should access the controls setting by clicking the gear icon on the top right corner of your screen. There are 3 settings that you may want to set. Hero Lock Mode – You shouldn’t worry about turning it on as a new player, but it is very useful in higher rank divisions. These settings are pretty self explanatory, but if you are not sure which option to choose, then go with the default settings. Remember to press on “Update Setting” when you’re done. Choosing the right items for your hero is essential in winning games in MLBB. Once you’re done with the control settings, you should visit this page by pressing the “Prep” button at the bottom left and choose “Gear”. This is the place to preset equipment sets for all your heroes in game for quick purchase. Have a look at the items and see if any adjustment is needed. You can either use the recommended sets or take a look at the popular sets and top player sets. Feel free to take a look at the complete Mobile Legends Items. It is not as convenient to type as using a PC keyboard, so it is very important to preset your battleground chat to communicate with your team in game. You can use up to 7 custom chat set by the system. Too bad you can’t customize it with your own words. But still, it is more effective than typing with your keypad for quick communication. There are five game modes and each of them serves different purpose. 1. Arcade – A newly added option that consists of 4 different modes – Survival, Frenzy, Mirror, and Mayhem. At the time of writing, only Survival mode is available and the rest are coming soon. Survival – You can form a team of 3 players to enjoy a Battle Royale experience game mode. 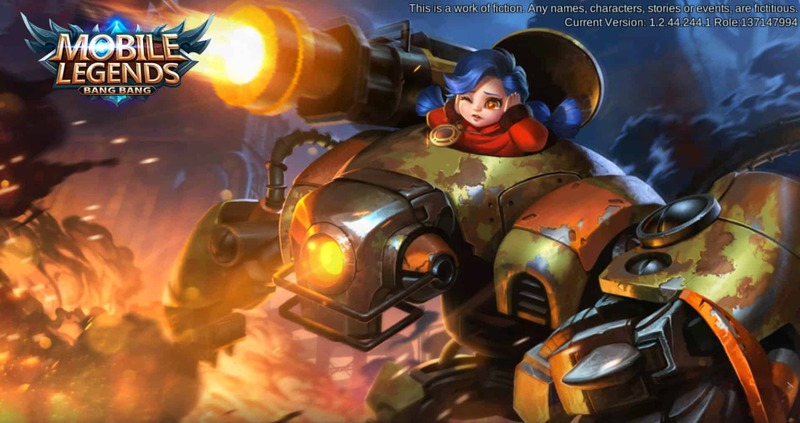 Each team is recommended to have heroes of different roles such as tank, caster, and physical DPS heroes. Each team will enter the battlefield on a flying dragon and like any BR games, you can decided your own drop zone. In this mode, you can acquire new equipment by killing enemies or creeps. You can also share the equipment with your team by dropping them on the ground. Killing lord and destroying chests can grant you rare abilities. Just like Battle Royale genre, a safety zone forms once the game begins. The safety zone shrinks and moves at set times. Heroes will suffer significant damage outside of the safety zone. Every player has one life and upon death, teammates have 30 seconds to revive your fallen hero. The game ends with one surviving team to claim the title of first place. 2. Brawl – 5v5 in a single lane. This mode starts you off at level 2 with 800g. You can’t buy anything once you leave the spawning zone. So, it is important to buy some items right away and make sure you don’t die before you have enough gold to get new items. 3. Classic – A standard 3 lanes 5v5 game mode. It is one of the most played game modes for players to practice new heroes and complete daily tasks. Remember, once you have chosen a hero and locked it, you won’t be able to cancel lock and switch hero. 4. Ranked – It is the same as Classic except that it lets you compete in ranked divisions. Also, you can’t join Ranked mode until you hit level 6. We will discuss more details here on our Mobile Legends Ranking System page. 5. Custom – You will be able to choose Classic, Brawl and Draft Pick mode. Also, you can team up with friends and AI players (Computer). 6. VS A.I. – Pretty self explanatory. It’s almost the same as “Custom” mode, but only against AI players (Computer). Other than that, you can select the AI difficulty (Simple or Normal). This is good for testing out new heroes and not ruining the gaming experience of other players. There are plenty of heroes to choose from and you will get 8 of them for free when you first started. The free heroes are Layla, Zilong, Nana, Miya, Saber, Eudora, Balmond and Tigreal. You will be able to buy more heroes by using tickets, fragments, battle points or diamonds. Other than that, you can get some heroes by completing certain events. Check out the complete mobile legends heroes list here. There are many viable builds for every hero. You wanna be tanky? leechy? speedy? Take your pick! I will assemble a list of Mobile Legends builds for each and every hero in the game. Emblem is a system that enhances the power of your hero in game. It gives seasoned players a slight edge against new players by giving you a small boost on certain stats. There are a total of 9 emblems (newly added marksman) available in the game. Make sure to max out the right emblem that suits your play style because it is not cheap to level up. It requires more emblems/dusts and battle points to advance at higher levels. Aside from that, MLBB has introduced new addition to their emblem system too, which is the talent trees. Feel free to check out this new Mobile Legends emblem system guide. There are many servers in this game and you will be assigned to one randomly. However, you will still be able to play with your friends on different servers. The only difference is that the local server rankings will be different. To check your server ID, simply look at the ID listed right next to your player’s ID as shown in the image below. There are many things to do in the game and I would recommend you to complete the daily tasks and events for more rewards. You will be able to gain experience, skin fragments, hero fragments, magic dust, battle points, different types of emblems, trial cards, tickets, and certain heroes for free. These rewards are used for various purposes. Most common ones are to level up your emblems, buy heroes, buy hero skins, etc. The first thing you should do each day when you log in to the game is to complete the “REWARD” tab. Medal Chest – Medals that you win in matches give you medal points. Earn 10 points to unlock a Medal Chest once a day. Free Chest – Free chests available every 4 hours, stackable up to 2 times. Which means you can collect one chest for free every 4 hours, and don’t worry about missing out one when you’re sleeping because you can collect two chests at once after you wake up. Daily Rewards – A list of tasks that you can do to earn experience and daily activity points. These tasks reset every 24 hours. By finishing a certain amount of daily tasks, you will be able to claim extra battle points and Weekly Activity Chests (which contain various rewards mentioned above). Here are a list of recommended tasks to maximize your daily activity points. Complete the main tasks and either option one or option two to cap out your 130 daily activity points. 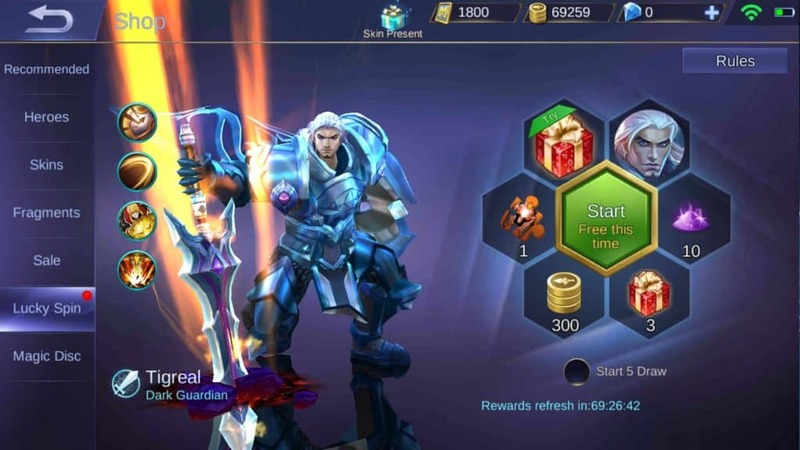 Hello MLBB – Log in the game. Warm Up – Complete 1 game. Never Rest – Complete 3 games. Brawl – Complete 1 game in brawl mode. Strike & Win – Win 1 game. Victory Rush – Win 2 games. Art of Combat – Get 25 Kills or Assists. Conqueror – Destroy 4 enemy turrets. Monster Hunter – Kill the Lord/Turtle 3 times (can be completed with team kill). Sharer – Share the game 1 time. Team Up – Complete 2 games with friends. Together for Victory – Win 1 Game with friends in Classic or ranked game. Unstoppable – Win 3 games in the ranked mode. These are the best free ways to complete your daily for the extra 230 battle points. It may seem like a lot of work, but it’s actually doable in just 2 to 3 games. Most events last a few days to a week. Check out the “Event” section to find out the latest events. Daily login – lasts 7 days and it gives you one gift each day you login, simple as that. This is available every week. Tasks – This resets every 3 days with random tasks. For example, use a tank hero to complete 3 games; destroy 4 turrets; deal 300k damage, etc. Complete each one to get a small gift and a big one once you completed all 3. Special Events – This is random as well. It may require you to do certain tasks once or multiple times (daily) during the event period. The rewards will be shown on the same page. I was able to get a free hero by doing the daily tasks during the event period. Bane’s Treasure – This is a new event of the latest expansion and it seems to last 2 weeks. By completing all the quests on each island, you will be able to receive some amazing rewards such as the new bane hero and his skin. Get free “Lucky Spin” every 2 days under the “Shop” section. You can spend tickets for subsequent spins. Rewards will be refreshed every 3 days. Check your mail periodically to claim rewards from MLBB. 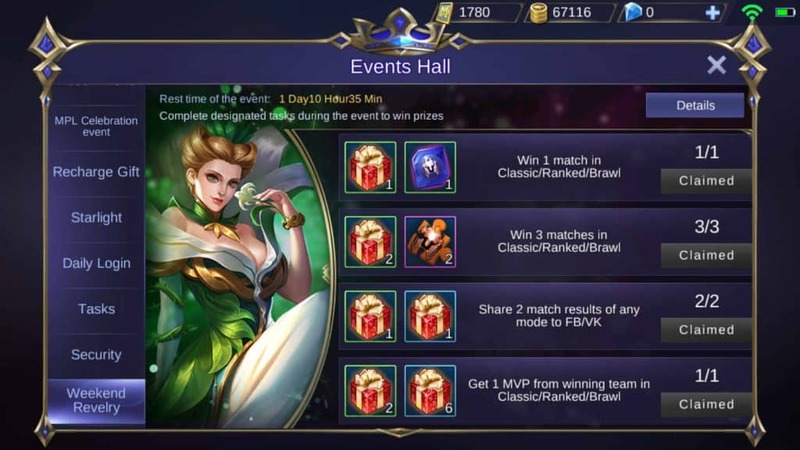 These include 500 battle points from “Good Credit Reward”, a small gift from “Share Reward” and some random rewards that MLBB might surprise you any time. Keep an eye on the mini map, know when to support and retreat. If you are not seeing enemy heroes on the mini map, always assume they are coming for you or your teammates. It’s time to retreat to a safer place (your turret/base) and warn others. Don’t risk a kill knowing that you might get killed. Stay far away from the bushes. Hide in the bushes if you’re looking to gank. Help your teammate to escape or set up a kill if possible (don’t risk it if it’s going to get yourself killed). Don’t waste time trash talking. Learn your hero inside out and use it to your advantage. For example, use Lesley to hit and run, don’t turret against heroes such as Miya or Layla. Your main objective is to destroy turrets and finish off the base. One of the most important tips – don’t die and don’t feed. Don’t over farm jungle, you’re not a jungle peacekeeper. Your team mates need you. Never give up. I’ve won games that seemed to be impossible to win. Avoid facing overfed heroes and try to farm up. Always defend at your turret, it could save your life. Be ready to join a team fight, don’t start one if possible. Wait for wipe out to do a counter push. Don’t attack the lord if there’s enough time to finish off the base (resurrection timer shows you what makes sense). Strategy changes all the time, sometimes split push would work better than single lane push. Make your own judgement based on the situation. Last hit on minions gives you more gold and exp. Lock tower during a push to avoid target switching (available under “Advanced Aim”). Don’t attack towers without the presence of minions. The lord will attack the lane with the least towers and tower HP. Make sure your phone has enough battery before you start each game. Don’t do ranked games when you don’t have a good and stable connection. Bind your moonton account for better security (You get extra tickets too!). I can’t stress this enough, always keep an eye on the mini map! I’ve got teammate killing mobs while I was being attacked somewhere close to him. That is one of the noobest things you can do in the game. Don’t be that guy. That’s pretty much it. Please do let me know if I missed anything and I’ll be sure to include them in this Mobile Legends Guide. Remember to take it easy and enjoy the game. Don’t insult others and have fun playing! Feel free to add me in game, maybe we could do some classic/brawl games together!